In the twenty-first century, computers have become indispensable in music making, distribution, performance, and consumption. 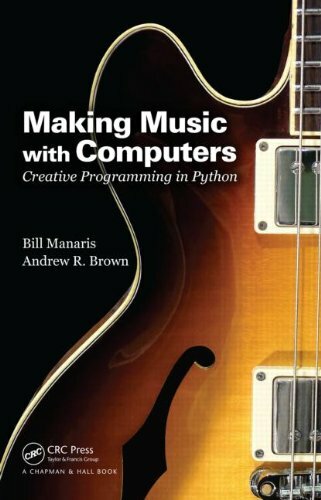 Making Music with Computers: Creative Programming in Python introduces important concepts and skills necessary to generate music with computers. It interweaves computing pedagogy with musical concepts and creative activities, showing students how to integrate the creativity and design of the arts with the mathematical rigor and formality of computer science. The book provides an introduction to creative software development in the Python programming language. It uses innovative music-creation activities to illustrate introductory computer programming concepts, including data types, algorithms, operators, iteration, lists, functions, and classes. The authors also cover GUIs, event-driven programming, big data, sonification, MIDI programming, client–server programming, recursion, fractals, and complex system dynamics. Requiring minimal musical or programming experience, the text is designed for courses in introductory computer science and computing in the arts. It helps students learn computer programming in a creative context and understand how to build computer music applications. Also suitable for self-study, the book shows musicians and digital music enthusiasts how to write music software and create algorithmic music compositions. A supplementary website (http://jythonMusic.org) provides a music library and other software resources used in the text. The music library is an extension of the jMusic library and incorporates other cross-platform programming tools. The website also offers example course and associated media resources.